Hello Reader :-), thanks for dropping by. This is an interesting one. Today I received a copyright claim for a section of music on my Collecto Electro video, that’s been up on YouTube since September 2013. The claim is via Tunecore, for one of the acts that is presumably included in their YouTube Sync scheme. I use CD Baby for a similar scheme. (CD Baby and Tunecore are ‘aggregators’. You have to use an aggregator to get your music on iTunes and other digital outlets). If you sign up to these guys’ YouTube Monetizing / Sync schemes, then as I understand it, an algorithm thingy (technical term 🙂 ) scans the music in YouTube videos to find ‘your’ music. If it finds a match, the uploader of the video gets notified that someone else (you!) has copyright ownership of the music, and that will affect who gets money from monetization of the video. This is the type of notice I’ve received from Tunecore in respect of my own music. It refers to the first half-minute, or so, of Collecto Electro. DAW (Digital Audio Workstation) program I use on my PC to record music. It’s fairly prominent in Collecto Electro at the start, with only a couple of other instrument sounds around it. On listening to the piece Tunecore have matched mine to, it is clear that piece uses the same Cubase rhythm 🙂 . Nothing else is similar (instrumentation, melody, chord structure, etc.). I’ve initiated an objection, using YouTube’s ‘dispute’ process, to Tunecore’s copyright claim. I’ll let you know what happens. Have a good day, one and all! 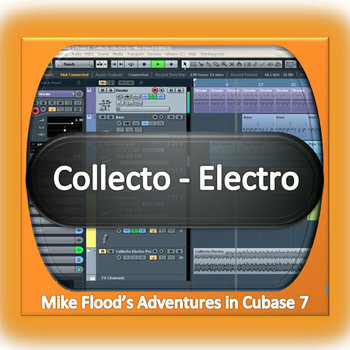 This entry was posted in Copyright, YouTube and tagged CD Baby, collecto electro, copyright, copyright claim, copyright dispute, cubase, cubase 7, drum, drum track, edm, monetization, rhythm, Tunecore, youtube, Youtube monetization. Bookmark the permalink.